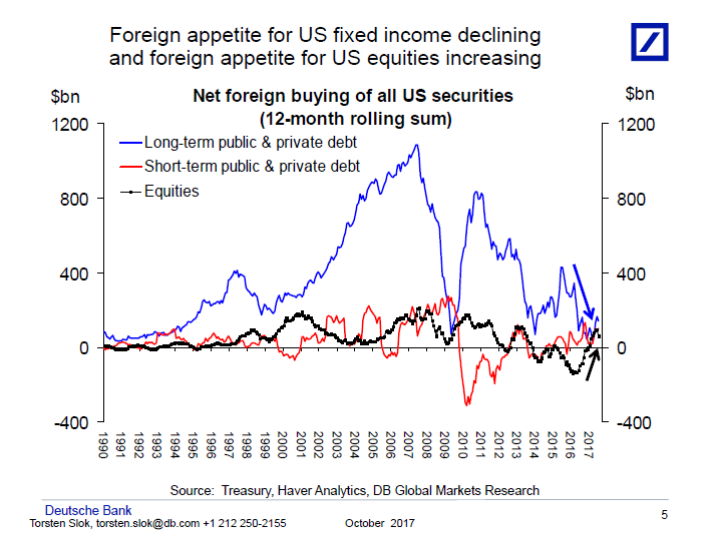 1.Foreign Investors Sell U.S. Bonds and Buy U.S. Stocks. 4.U.S. 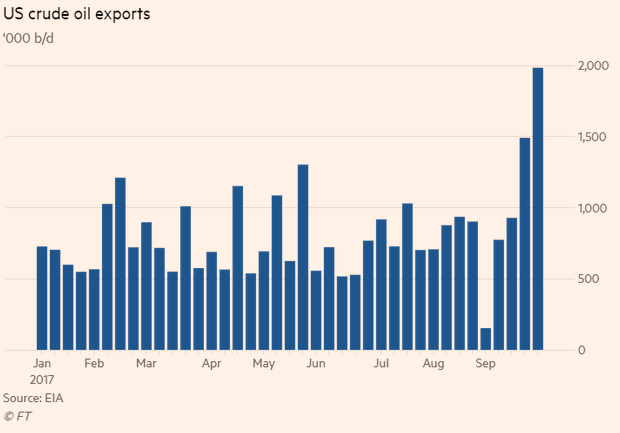 Crude Oil Exports…33% Jump in One Year. 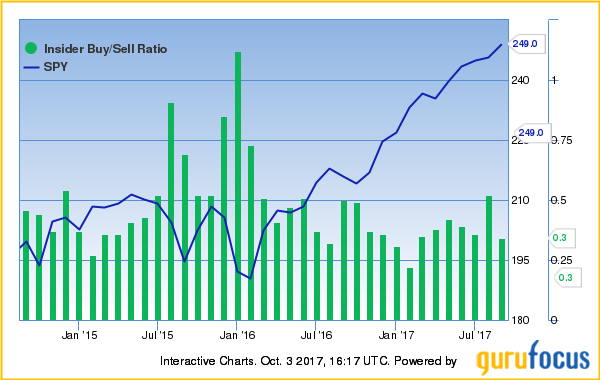 The insider buy-sell ratio has declined since reaching a three-year high in early 2016, suggesting that insiders are becoming bearish about the market. 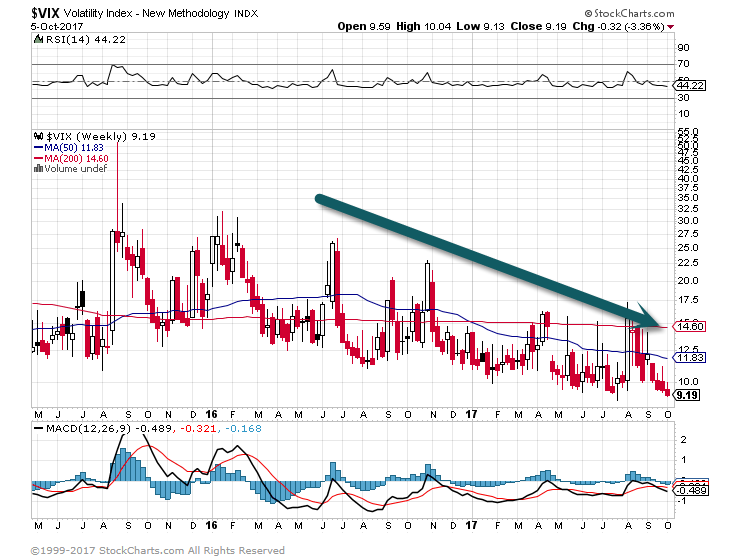 The ratio dropped from 0.52 to 0.34 during August 2017. 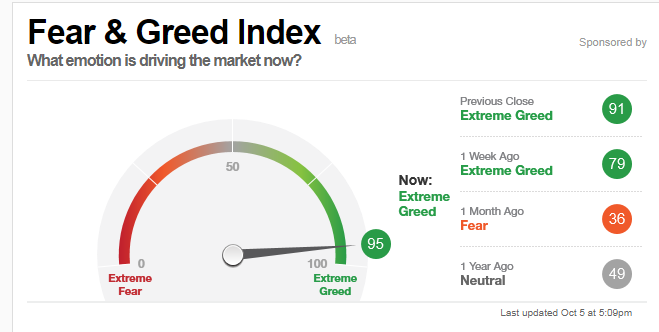 7.Fear and Greed Index….Hits “Extreme Greed”….Triples in One Month. 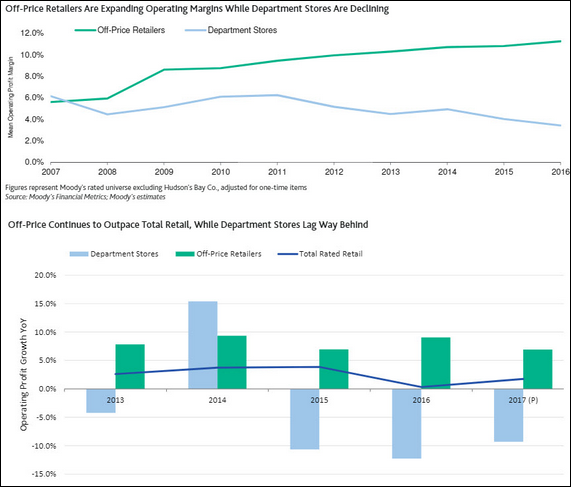 8.Death by Amazon+Death by Discount Retailers. Equity Markets: We’ve had a number of questions regarding internet retail businesses squeezing US department stores. But more than the internet, it’s been the off-price retailers such as Marshalls, T.J. Maxx, Ross Stores, etc. that have taken the “brick & mortar” market share. 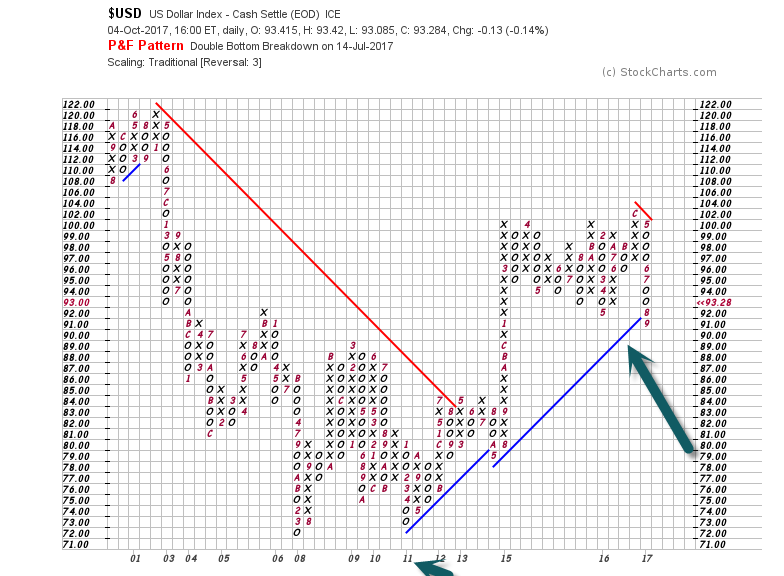 This chart compares margins and operating profits. 9.ETFs Getting More and More Granular in Sub-Sectors…Top 2017 Performer ARKK. 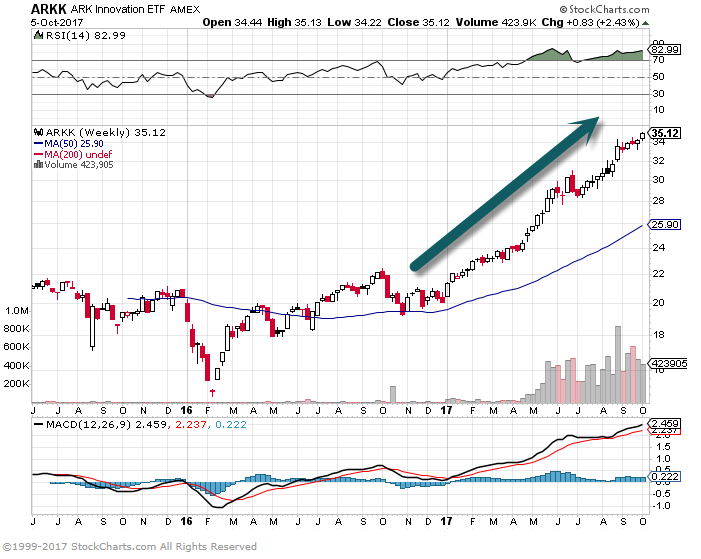 The tamer list, which excludes inverse and leveraged ETFs—and which some might consider more “investable”—is topped by the ARK Innovation ETF (ARKK), with a 71% year-to-date gain. 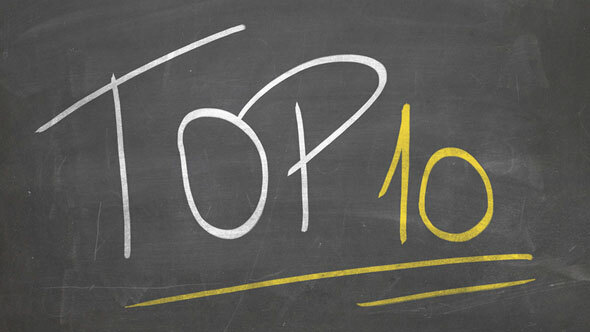 ARKK is one of two ETFs on the list issued by ARK Investment Management, a company that focuses on thematic ETFs with a “disruptive innovation” bent. The fund holds companies that work in fields related to genomics, next-generation internet, and industrial innovation.